Welcome to All Types Automotive, your leading car mechanic and car service provider in Greensborough. The experts for car service in the Greensborough area, All Types Automotive also provide genuine Roadworthy Certificates. With the ambition to deliver all the automotive services you’ll ever need under one roof the team at All Types Automotive are who you can trust to keep your vehicle running safely on Victoria’s extensive road network. 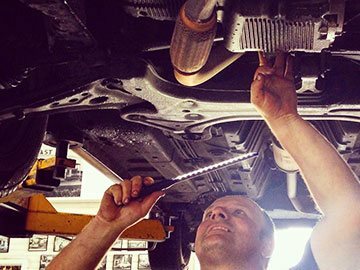 Taking into account all the aspects of your vehicle, the mechanics at All Types Automotive can conduct a detailed and personalised car service that Greensborough, Brunswick, Preston, Coburg, and other Melbourne motorists can trust to identify and address any emergent issues before they become large technical faults. If you want to sell your car in Greensborough, getting a roadworthy certificate for it would make it easier for you to sell the car at a good price. Buying a used car is quite risky but that risk is minimised if the car comes with a roadworthy certificate. At All Types Automotive our dedicated, passionate, and renowned mechanics provide Greensborough locals with peace of mind and a car servicing solution that they can trust. If you have your eye on a beautiful used car which you feel meets your requirements perfectly, but you are not sure about its condition under the hood just see if it has a roadworthy certificate with it. If it does, you can be sure that the car is in proper working condition. Taking into account the age, condition, and make of the car our mechanics can help Greensborough motorists keep their cars running on the roads without succumbing to easily-repaired faults or failures. Before you trust the roadworthy certificate, you’ve spotted on a car, make sure it has been issued by someone who is qualified to do so. All Types Automotive is a reliable and trustworthy issuer of roadworthy certificate for cars throughout Greensborough. Our certificates are genuine and issued after thorough inspection of cars. For more details on how you can get a roadworthy certificate for your car in Greensborough and what it would mean for your car, give us a call at All Types Automotive today!